When traveling local gets repetitive, this is the best answer! 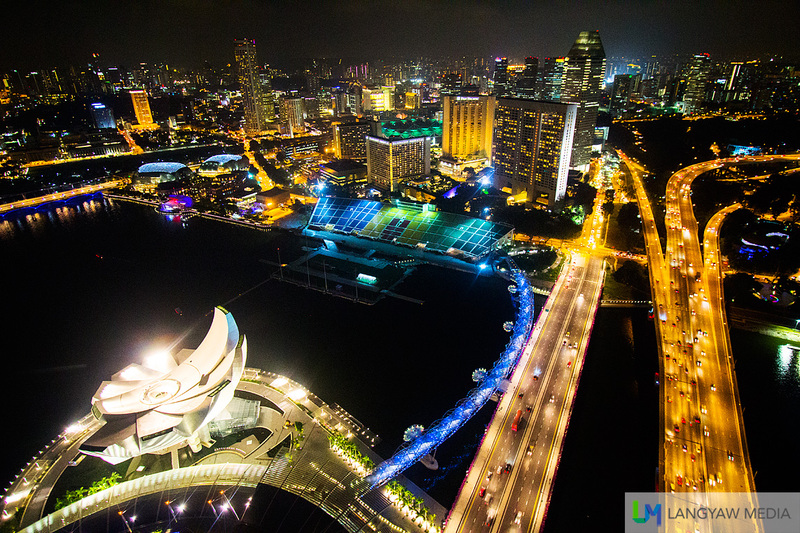 The beautiful city lights of Singapore as seen from the roofdeck of the Marina Bay Sands. With tripods banned at the top, it was a challenge getting this shot while keeping the ISO manageable. I should admit that when it comes to traveling the Philippines, I know it almost like the back of my hand. I travel every month anywhere, anytime but unfortunately, it has become repetitive for me. Same Filipino faces, same languages: Tagalog, Ilongo, Cebuano, same smell and same taste. I badly need to have a change of environment. Where the surroundings are alien. Where I’m alien. Where the sight and smell of the food will rev up my curiosity into overdrive. When I have to resort to speak in English or sign language to communicate and all around me are a babel of tongues and scripts. I need to go to a place, or places where the color of my skin will stand out from the rest. The color of my hair makes a striking contrast and the usual, typical Filipino faces are absent. And the reason to love travel and exploration in some foreign land becomes a hunger, a drive to satiate that hunger. I need to reboot. Soon. Or I will lose my sanity.